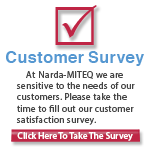 L3 Narda-MITEQ has decided to transition out of the Mechanical Switch business. Following the Acquisition of MITEQ and the union of our two organizations as Narda-MITEQ in January of 2015, we gave good thought in regards to our core focus areas in the RF and Microwave components market. Narda-MITEQ has since made the decision that we would forgo Mechanical Switch manufacturing, and dedicate those resources to our core focus areas of passive products, amplifiers, SATCOM equipment and other products where we have more significant market share and growth potential. Currently, due to a lack of availability of the critical parts for all latching type switches, we will not be able to supply latching switches of any kind. For other than latching switches, we are reviewing our ability to supply our Standard Custom Switches on a case-by-case basis, and engaging in last time production runs of our SEM (stocked series). For our SEM series, will supply the remaining finished goods produced to our customers on a first come first served basis, until those stocks are exhausted. We expect to complete the last remaining production runs of the SEM switches by the end of Fiscal Year 2017, with some small potential carryover into early 2018. For any and all of our customers, we will happily work with them to provide any information deemed necessary to aid in the selection of an alternative supplier on the market. Due to inherent commonalities across suppliers, we believe that suitable substitutes should be readily available. If you have any further questions, or would like assistance in seeking an alternative on the market for a switch that we can no longer support, please contact us and we will provide a product specialist to assist you accordingly. 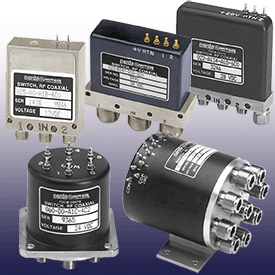 To view or download information on a specific Narda-MITEQ Standard Electro-Mechanical Switches, please click on one of the sub-categories below.